A powerful audio program with positive affirmations, subliminal suggestions and Theta frequency to reprogram your subconscious mind. This is where subliminal wave therapy comes handy. Subliminal wave therapy allows your mind to relax into heightened states of receptivity, where suggestions of wealth, prosperity and abundance are effortlessly absorbed. Theta waves are best used for this purpose. 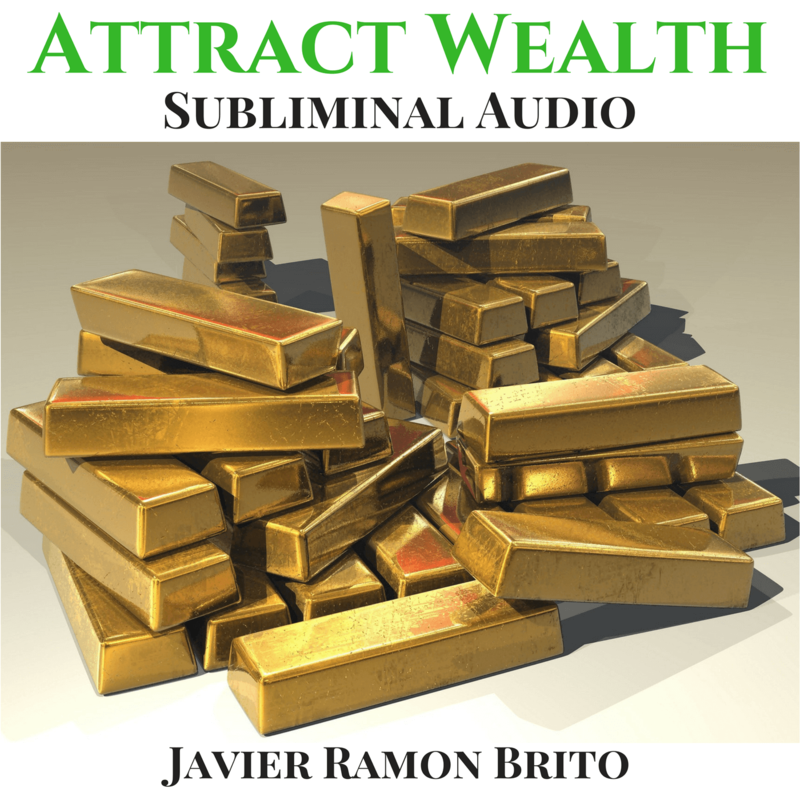 With all the above in mind, I have designed an audio program that contains all the necessary ingredients for increasing prosperity and abundance in your life. You can download this audio program at the end of this page. The first part of this track contains powerful affirmations that will help you align yourself with the essence of prosperity and abundance. These positive affirmations are presented in the order of your chakras. They also use key words that resonate with your meridians and with all your senses. You will be listening to these affirmations together with healing music. While you listen to them, try to reach deeply into your emotions and feel the meaning behind each positive message you hear. In the second part, these exact same affirmations will go into subliminal mode, in order to help you bypass any conscious resistance coming from any limiting beliefs that you may have stored in your subconscious mind, regarding prosperity and abundance in your life. A precisely tuned theta sound frequency will start playing in this second part, in order to help you achieve the deeper state of relaxation that will allow your subconscious mind to better absorb the subliminal affirmations. You will be listening then mainly to the music and the healing frequency, while the subliminal affirmations play in the background and are directly received by your subconscious mind. The theta frequency will lead you into a deeper, pleasant state of relaxation. You may feel sleepy or even wish to fall asleep during this second part. This is OK. It might be a sign that you are in the optimal relaxation state that allows your subconscious mind to receive the positive affirmations. You can download the audio program here. When you check out with the secure payment server using your PayPal balance or your credit or debit card, you immediately get the download link. You also receive in your inbox an instant email with the link to download this audio program. Listen to this audio program on your PC, Mac, IPod, MP3 Player, or iPhone. Or burn a CD for your home stereo. The program has been designed to be listen to with headphones. Enjoy it. I wish you great success and joy in achieving your goals. "I actually am really enjoying the audio very much... Also, even though I know it was way too soon for results, I did have something very interesting happen... I just received something quite unexpectedly". How many positive affirmations are contained in this audio program? • This recording uses 55 positive affirmations. You will clearly listen to all of them during the First Part of the program, out loud. These same positive affirmations go into subliminal mode and are repeated during the Second Part –the subliminal part- where you will hear only a whisper behind the music and the Theta frequency. There are no "hidden" or additional affirmations or messages included in this audio program. They are the exact same affirmations you clearly hear in the First part. Copyright © Javier Ramon Brito. All Rights Reserved. THE UNIVERSE IS INFINITE, AND ABUNDANT. IT IS EVER EXPANDING AND GROWING. THE UNIVERSE IS AND ENDLESS SOURCE OF ABUNDANCE. THERE IS MORE THAN ENOUGH FOR EVERYONE. YOU ARE EVERY TIME MORE CONSCIOUS OF THIS INFINITE ABUNDANCE. YOU CHOOSE TO ALIGN YOURSELF WITH THIS UNIVERSAL ABUNDANCE. THE MORE YOU ALIGN YOURSELF WITH THIS UNIVERSAL ABUNDANCE, THE MORE MONEY APPEARS IN YOUR LIFE. YOU REALIZE THAT DIVINE ABUNDANCE IS YOUR NATURAL STATE OF BEING. (YOUR INNER SELF KNOWS IT). YOU CLAIM YOUR DIVINE RIGHT TO LIVE AN ABUNDANT AND PROSPEROUS LIFE. YOUR MIND IS OPEN TO RECEIVING AN INFINITE SUPPLY OF WEALTH FROM NOW ON. 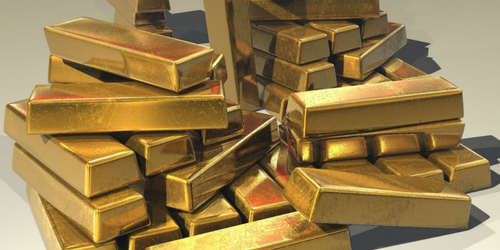 (YOU CAN SEE THIS WEALTH COMING TO YOU). YOU ARE BEING A CHANNEL OF EXPRESSION OF THIS UNIVERSAL ABUNDANCE. MONEY COMES TO YOU TROUGH EXPECTED CHANNELS AND UNEXPECTED CHANNELS. YOU CAN HEAR THIS MONEY COMING INTO YOUR LIFE. YOU ALLOW MONEY TO FLOW FREELY AND ABUNDANTLY INTO YOUR LIFE. YOU RECEIVE, BREATH AND LIVE THIS ABUNDANCE IN YOUR LIFE. YOU LOVE BEING AN ABUNDANT AND PROSPEROUS BEING. YOU ARE ABUNDANT AND EXPRESS YOUR LOVE FREELY. YOUR LOVE (TO YOUSELF AND OTHERS) GIVES YOU MORE ABUNDANCE. YOU ARE ABUNDANT DOING WHAT YOU LOVE TO DO. YOU MAKE MONEY DOING WHAT YOU LOVE DOING. YOU ARE RELAXED WITH MONEY. YOU FEEL EMPOWERED BEING ABUNDANT, PROSPEROUS AND RICH. YOUR PROSPERITY IS ALLOWING THE BEST OF YOU TO GROW. YOUR MONEY IS GIVING YOU FREEDOM. YOU FEEL HOW WONDERFUL THIS FREEDOM IS. YOUR PROSPERITY IS GIVING YOU MORE POSSIBILITIES AND OPPORTUNITIES TO EXPAND AND DEVELOP. YOU FEEL CONFIDENT ABOUT MONEY. YOUR WEALTH SATISFIES YOU COMPLETELY. YOU ARE HAPPILY LIVING YOUR ABUNDANCE . YOU FEEL CHEERFUL WITH YOUR MONEY. YOU REACH OUT WITH LOVE AND ABUNDANCE. YOU CHOOSE TO BE WEALTHY AND PROSPEROUS. YOU CHOOSE TO (FULLY) ENJOY YOUR SHARE OF THE UNIVERSAL ABUNDANCE. YOU FEEL AT PEACE, AND IN HARMONY WITH YOUR MONEY. YOU DESERVE IT. YOU DESERVE TO BE WEALTHY, PROSPEROUS AND RICH. YOU DESERVE TO HAVE MONEY. YOU DESERVE TO ENJOY MONEY. MONEY IS YOUR ALLY. MONEY IS YOUR FRIEND. MONEY ALLOWS YOU TO EXPRESS AND LIVE THE BEST OF YOURSELF. MONEY ALSO ALLOWS YOU TO HELP THE PEOPLE YOU LOVE.YOU CAN EVEN HELP MORE PEOPLE WITH MONEY. YOUR WEALTH GIVES YOU MUCH JOY. YOU FULLY ENJOY BEING PROSPEROUS, ABUNDANT AND RICH. THE MORE YOU ENJOY LIFE, THE MORE ABUNDANT YOU BECOME. THE MORE YOU ENJOY LIFE, THE MORE MONEY APPEARS IN YOUR LIFE! IT IS NATURAL, EASY AND FUN TO BE WEALTHY. YOU ARE FULLY ENJOYING BEING PROSPEROUS, ABUNDANT AND RICH. YOU LIKE MONEY. YOU LIKE HOW IT LOOKS. YOU LIKE LOOKING AT YOUR PROSPEROUS BANK ACCOUNT STATEMENTS. YOU LIKE LOOKING AT YOUR POSITIVE BALANCE. YOU LIKE THE SMELL OF THE BANKNOTES. YOU LIKE THE SOUND OF THE COINS AND BANKNOTES BEING COUNTED. YOU LIKE BEING TOLD ABOUT THE PAYMENTS YOU RECEIVE. YOU LIKE THE TEXTURE OF THE BANKNOTES. YOU LIKE HOW IT FEELS HAVING MONEY IN YOUR HAND. YOU LIKE HOW COMFORTABLE IT FEELS HAVING MONEY IN YOUR WALLET AND YOUR POCKET. YOU FEEL ENORMOUS PLEASURE HAVING MONEY. THE UNIVERSE SUPPORTS YOU. YOU HAVE A STRONG (FINANCIAL) FOUNDATION. YOU ARE GRATEFUL FOR ALL THE ABUNDANCE IN YOUR LIFE. YOU FEEL DEEP GRATITUDE FOR THE ABUNDANCE AND PROSPERITY IN YOUR LIFE. When is the best time to listen to this audio program? • Ideally, before going to sleep and/or when you wake up in the morning. If that is not possible, then choose a time when you can relax without interruptions and when your full alertness is not required for doing something else. How many times can I listen per day? • The First Part of the recording contains only music and positive affirmations, so you could listen to it as much as you like, but once or twice per day would be just fine. The Second Part, which is the subliminal part, contains a Theta frequency to induce a relaxed state of consciousness. Never listen to this Second Part of the track while driving or while doing something that requires your full alertness and focus. •The general rule of thumb for brainwave frequencies (i.e. Alpha, Theta or Delta) is to limit your listening time of them to 60 minutes per day, because more than that could make you feel spaced. In this recording, however, only the second part contains a Theta brainwave frequency, which lasts less than 10 minutes. In any case, listening to it once or twice per day is enough to reap the benefits. How many days is it recommended to listen in order to reap the benefits? • Personal experiences vary, depending on how deeply their limiting beliefs are ingrained in their subconscious. Some people see results sooner than others. The general rule of thumb for transformational audio programs is to listen daily for 45 days in a row, then as needed to achieve the results you desire. How long is the full recording? •The full recording (the First and Second Part together)is under 20 minutes, which is manageable and practical. 20 minutes of quality listening time per day is enough to benefit from this audio program. What about the healing music benefits? • My song "Peace", which you will hear as the background music in this audio program, was composed with the vibration and intention to promote inner and global peace. It allows you to become more attuned to that place inside of you where you find natural wellness, inner peace and inspiration. In addition, for this specific audio program I "re-tuned" this song according to the Solfeggio tones, which are known for their healing properties.